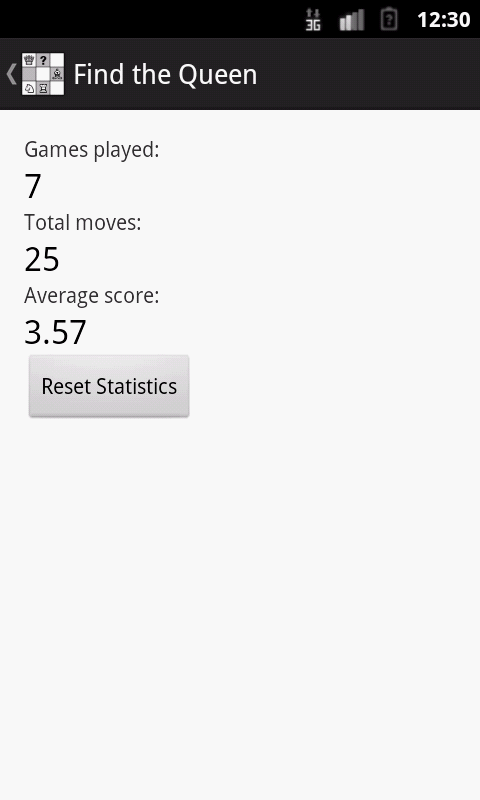 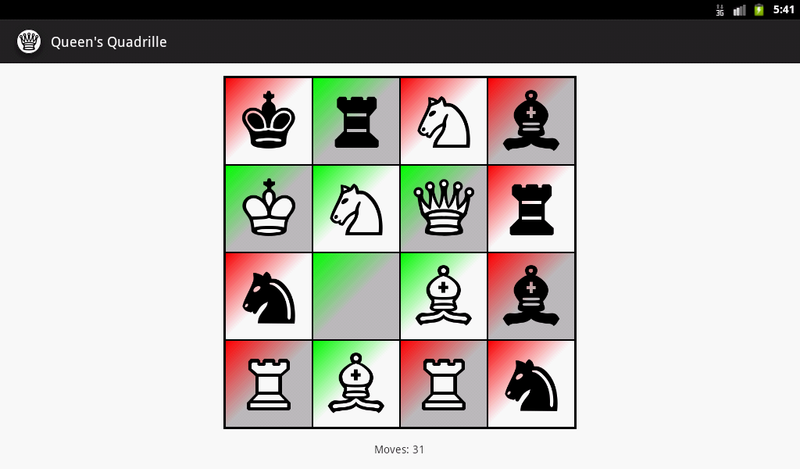 Find the Queen is a puzzle game based on the capture movements of chess pieces. 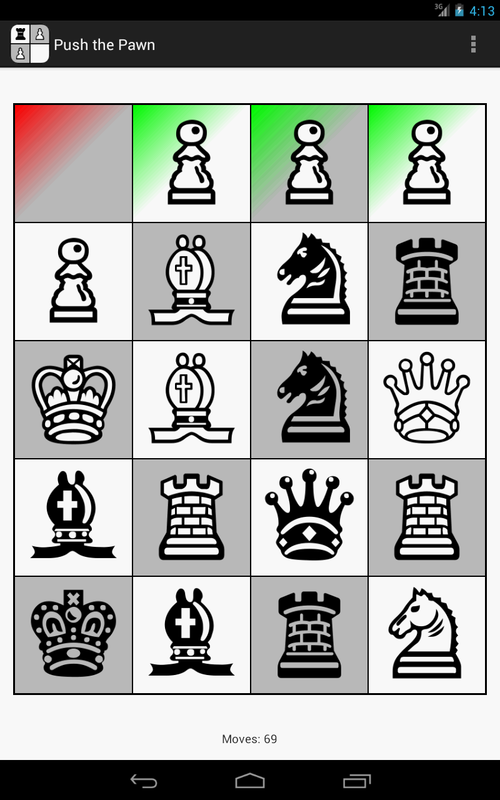 It is played on a 3�board containing one black queen and eight initially unknown white pieces. 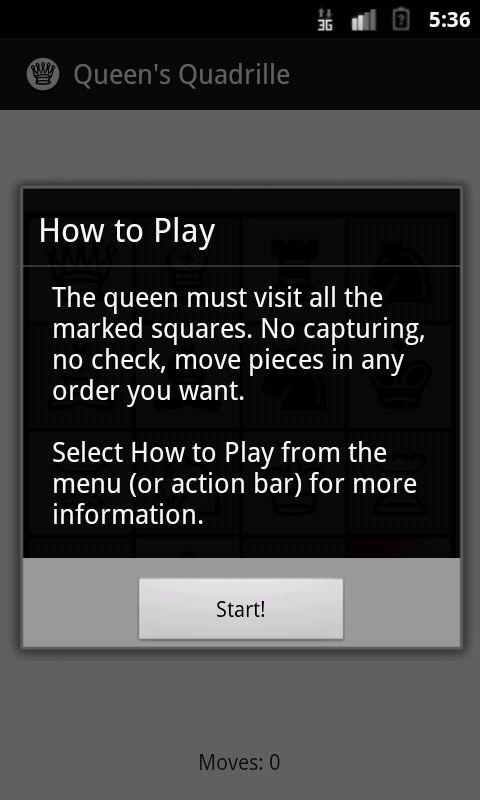 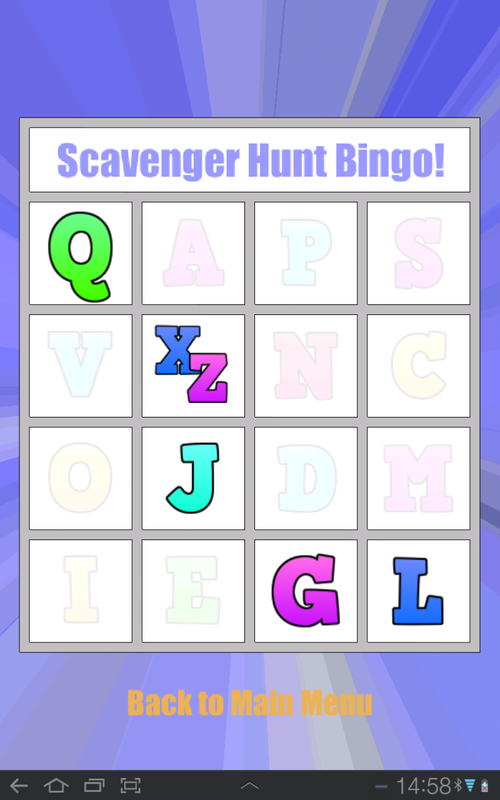 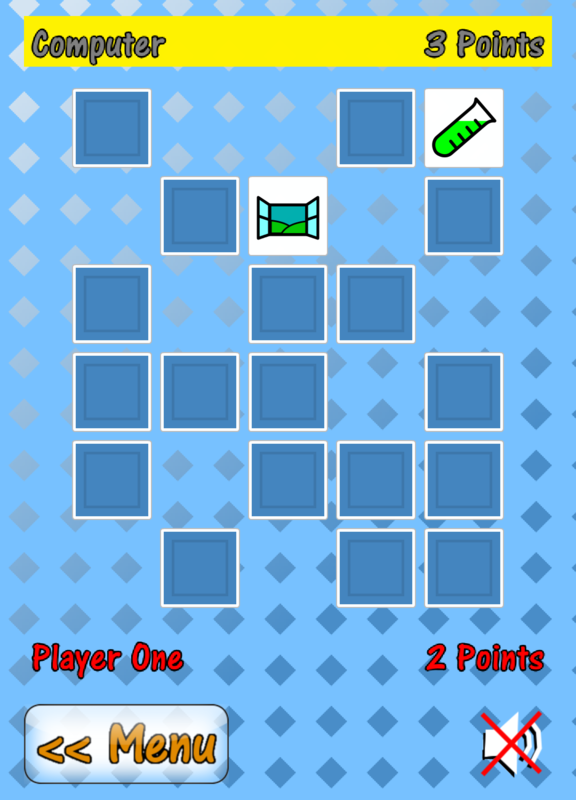 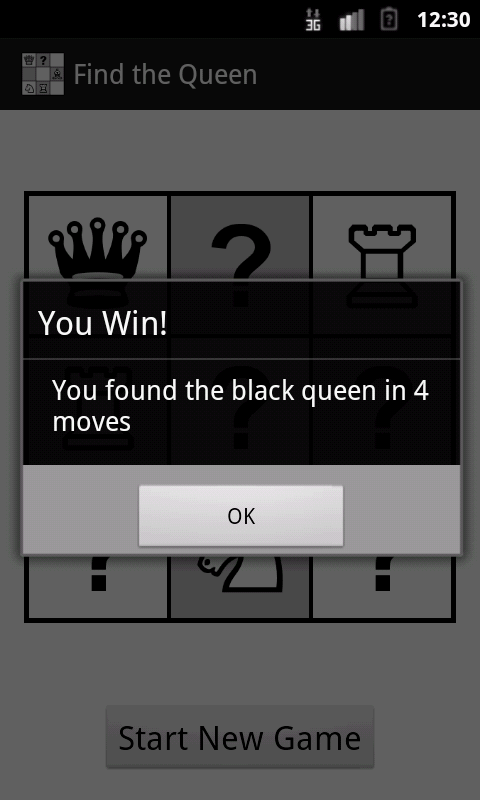 Tap squares to reveal pieces, and locate the queen in the fewest moves you can! 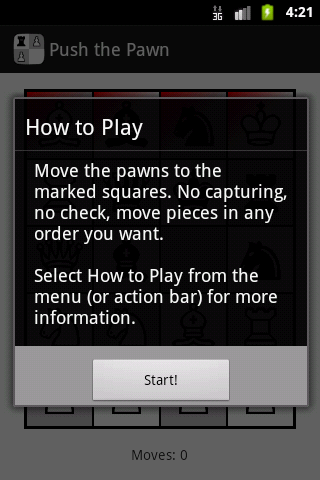 Available in all regions, for devices running Android 2.2 and above. 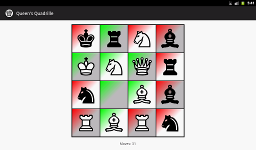 Hippodrome is a chess-based solitaire puzzle. 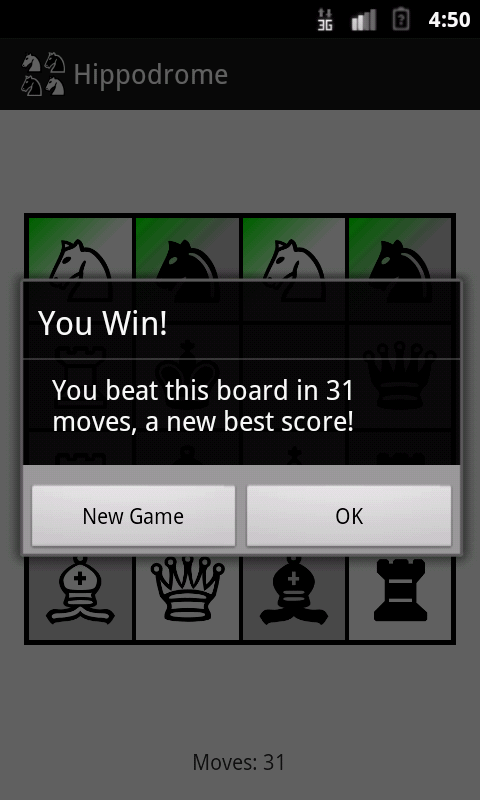 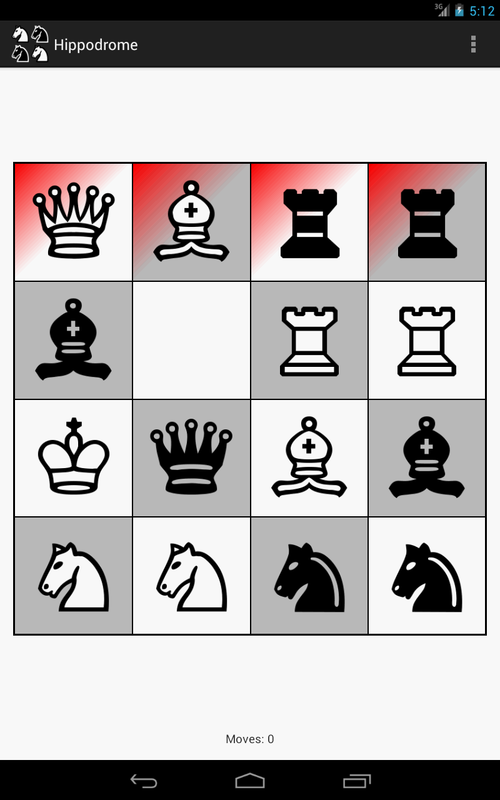 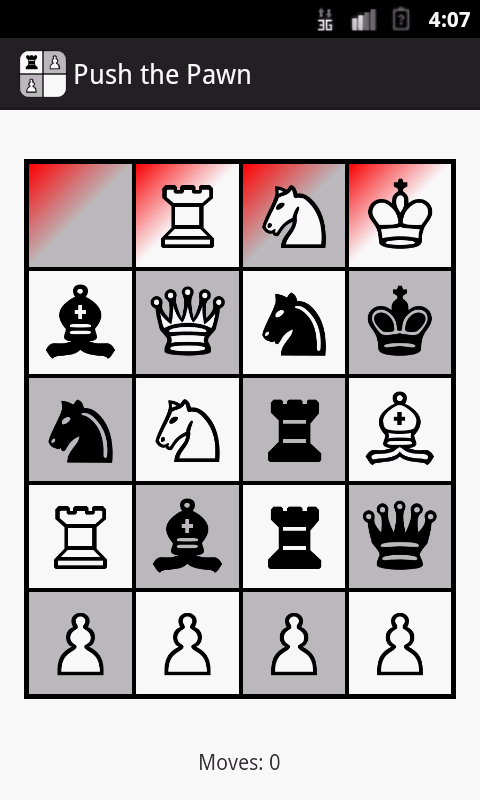 It is played on a mostly randomly-generated 4�chess board with all the knights on the first rank. 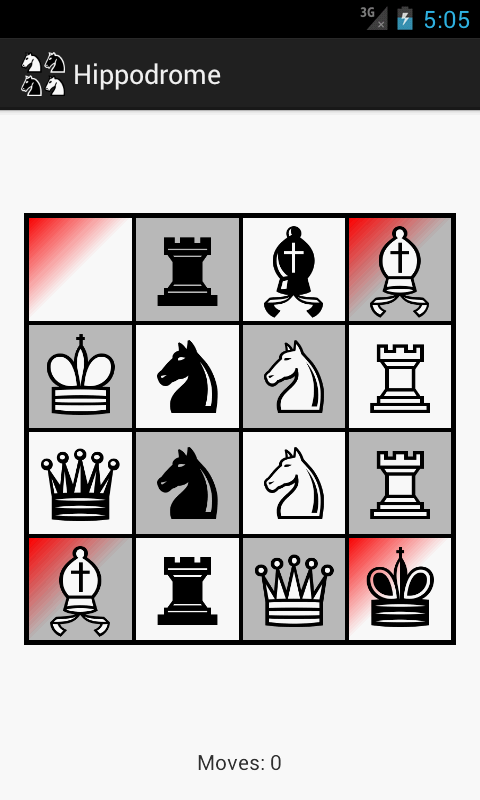 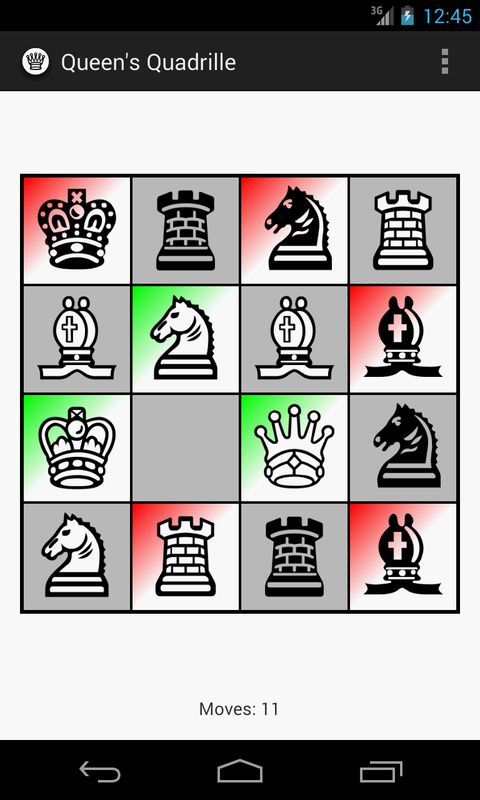 No captures, no check, and only one empty square - the aim of the game is to move the knights to the top rank in as few moves as possible. 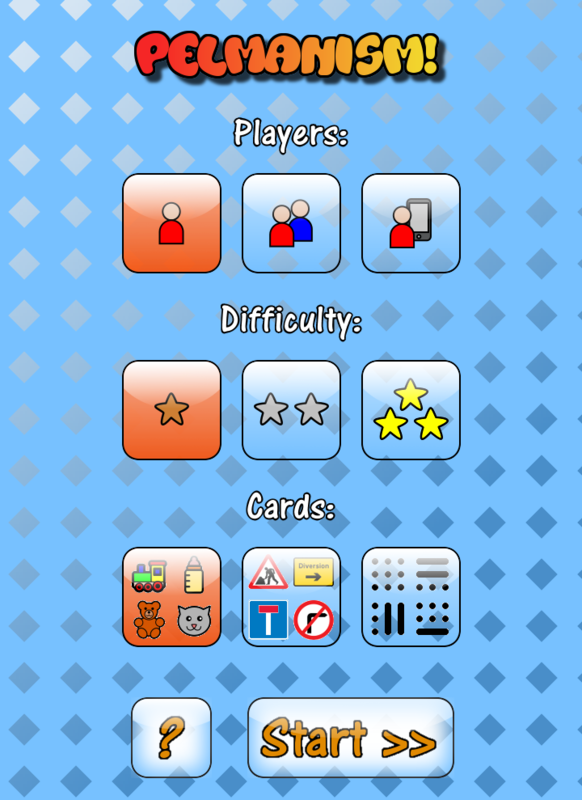 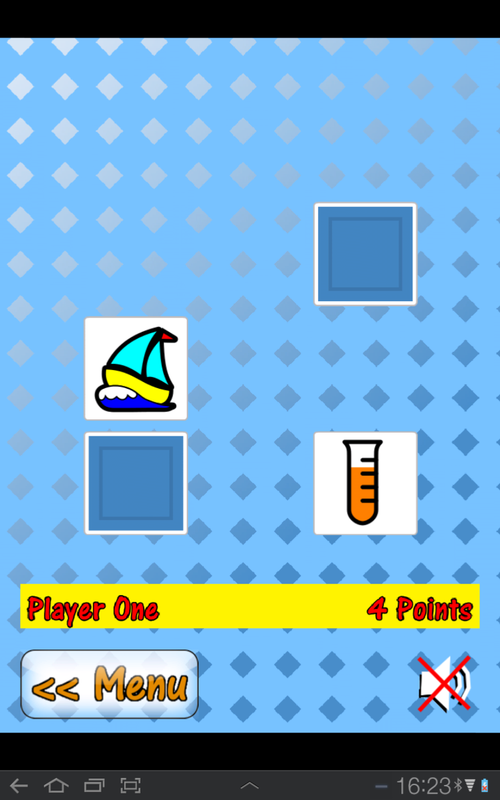 This version of the game includes several different game modes: Original, Match Colour, Close to Home and Inside-Out. 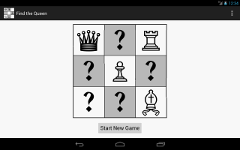 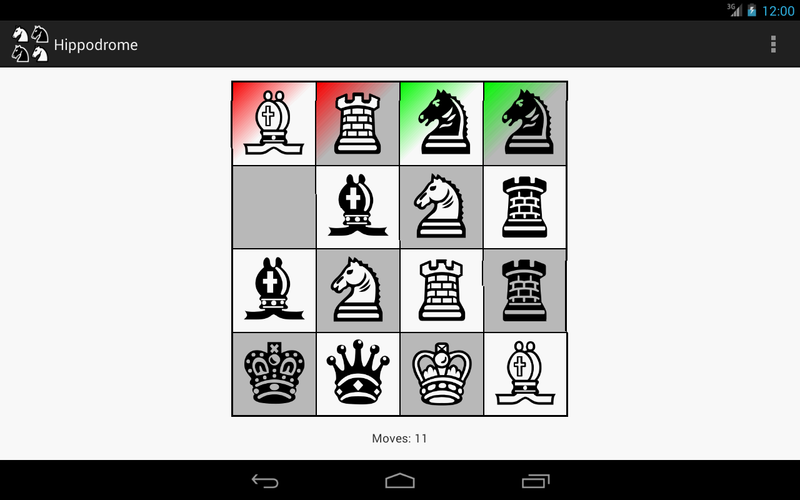 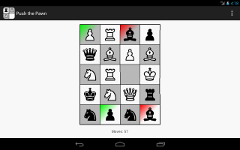 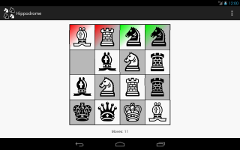 Queen's Quadrille is a chess-based puzzle game played on a randomly-generated 4�chess board. 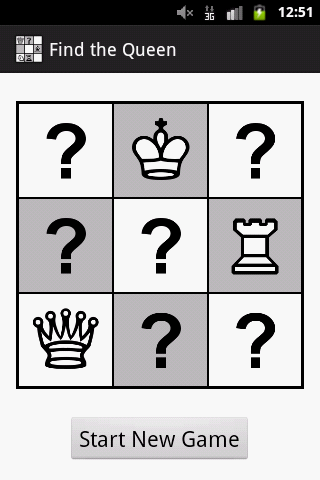 No captures, no check, and only one empty square - visit all the target squares with the white queen to win the game in the fewest moves you can! 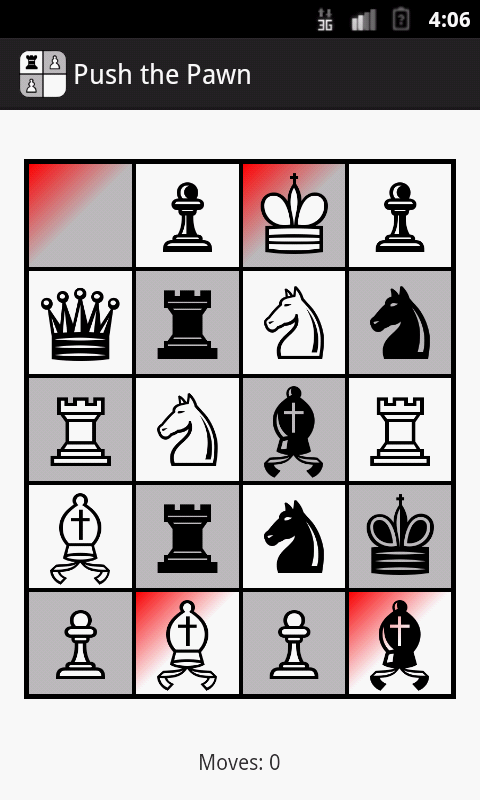 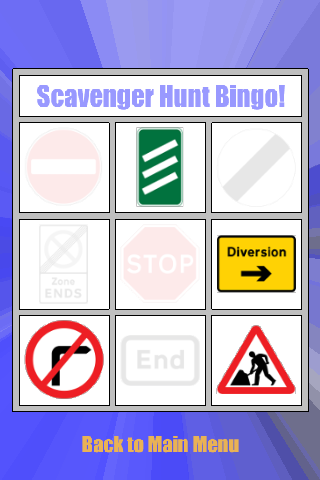 This version of the game includes many different game modes to challenge you, including Tour, Patrol and Four Corners. 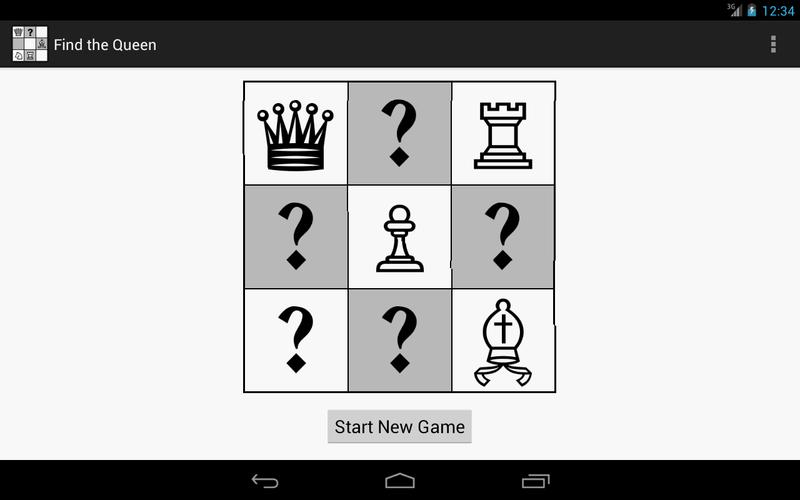 Push the Pawn is a chess-based puzzle game played on a mostly randomly-generated 4�chess board. 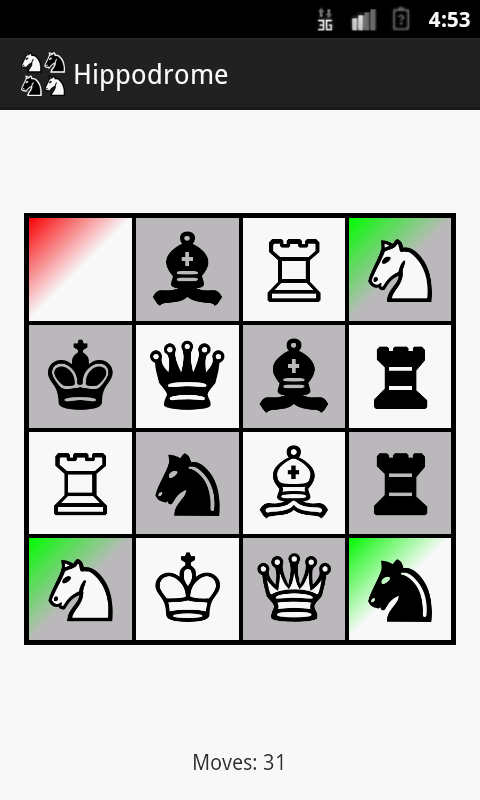 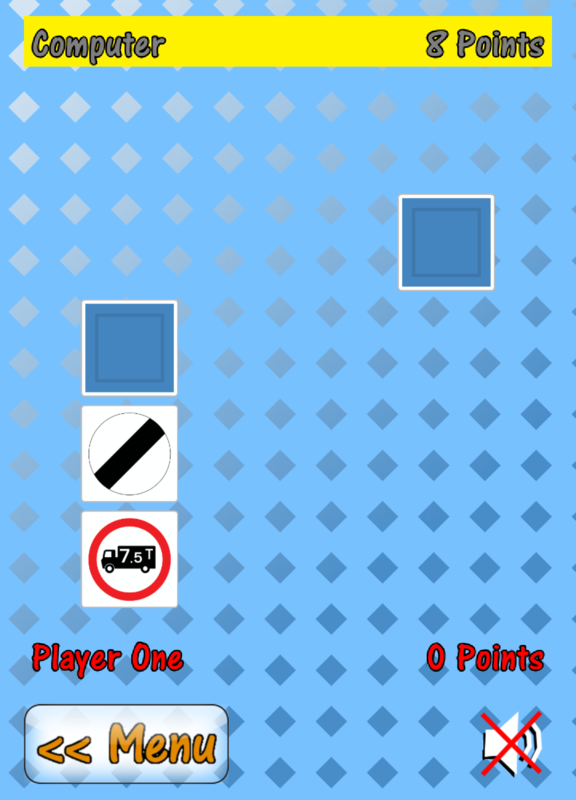 No captures, no check, and only one empty square - move the pawns to the target squares in order to win the game in the fewest moves you can! 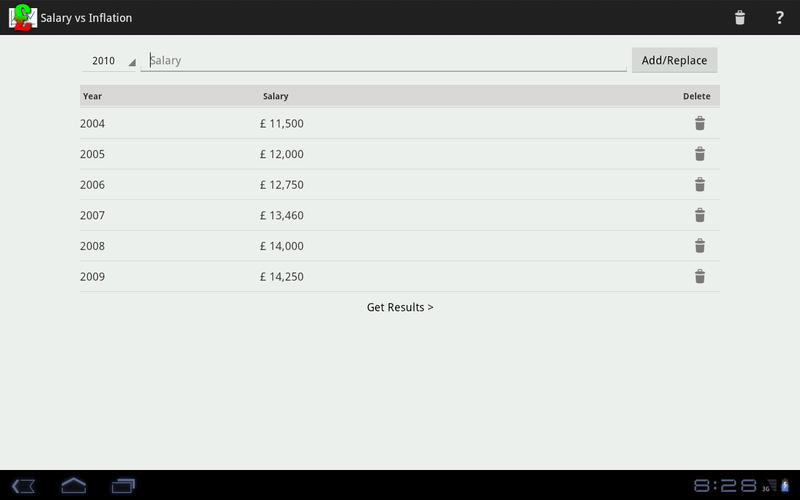 Over time the value of money decreases, so salaries need to increase proportionately just to maintain their value. 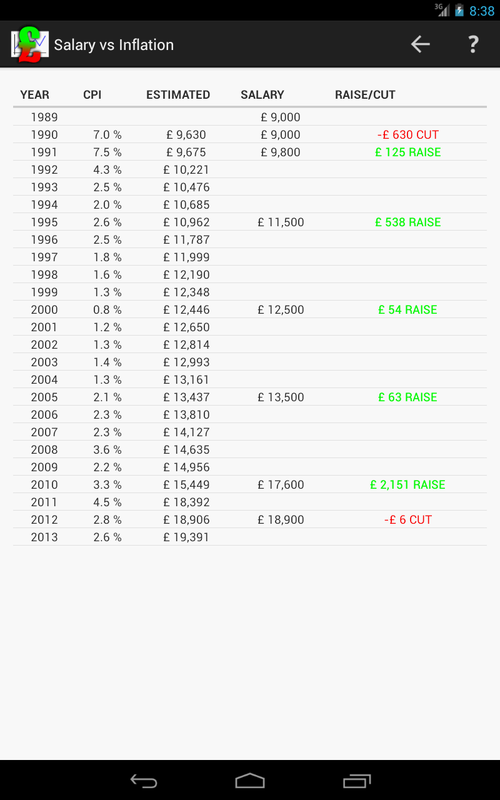 This app allows you to measure your salary against inflation for any period from 1989 to 2013. 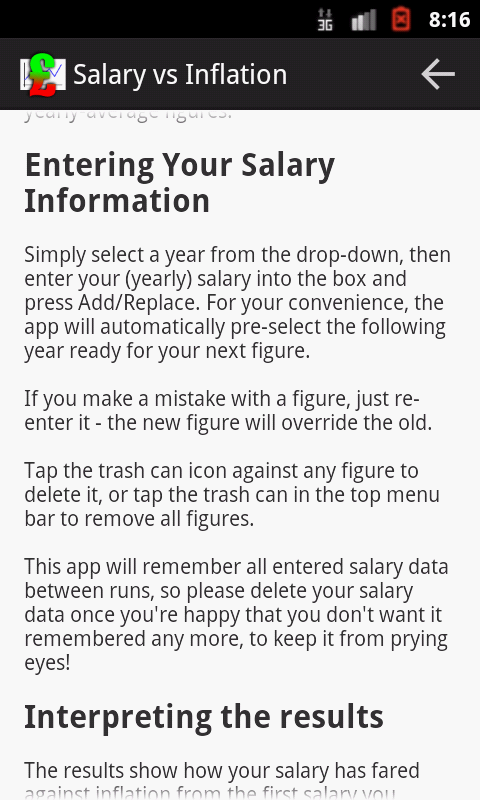 Enter figures for just one year or for many different years, and you can see how inflation has affected your salary, and how it has maintained (or lost!) 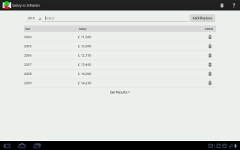 its value. 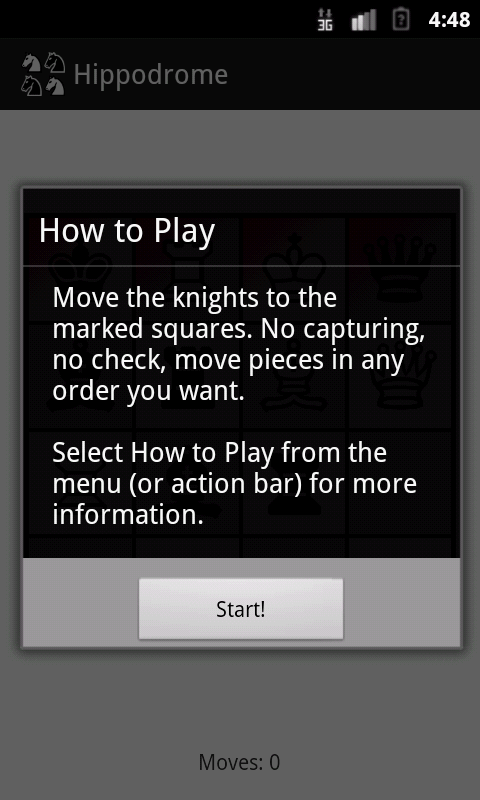 Available in the United Kingdom, for devices running Android 2.2 and above. 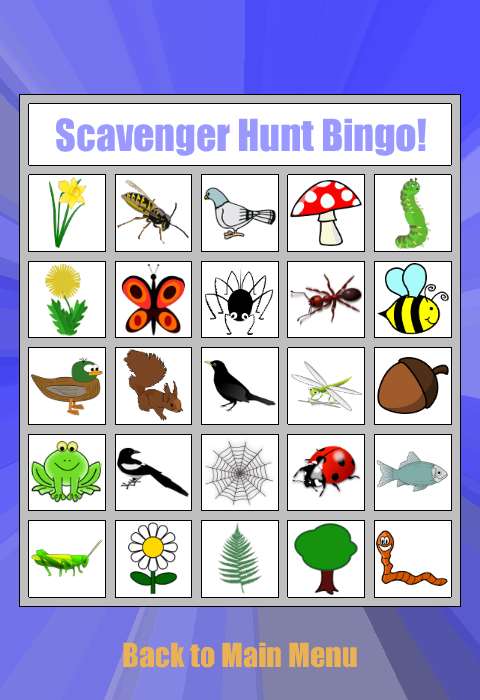 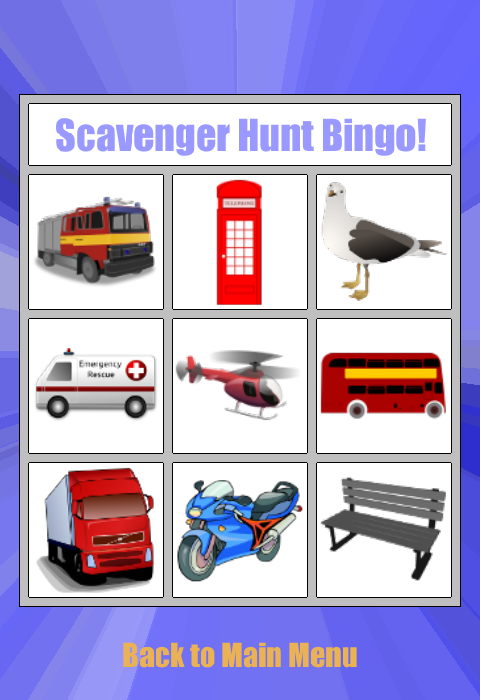 A scavenger hunt with a twist! 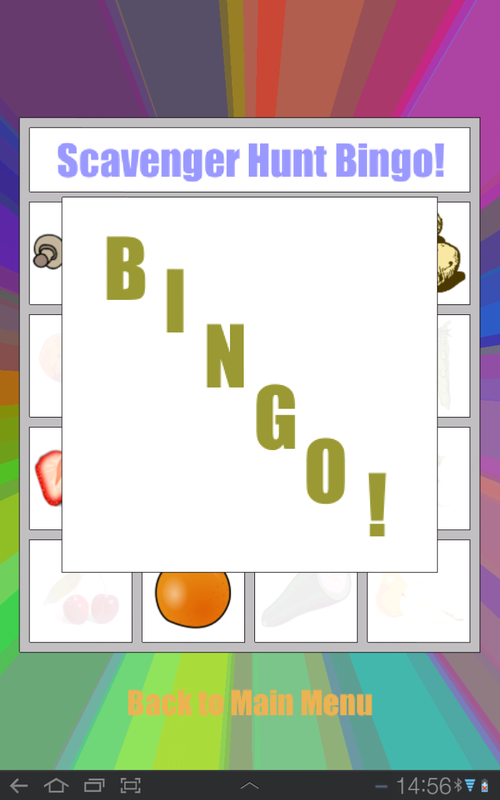 Spot the items on the card and cross them off, complete a line and you get BINGO! 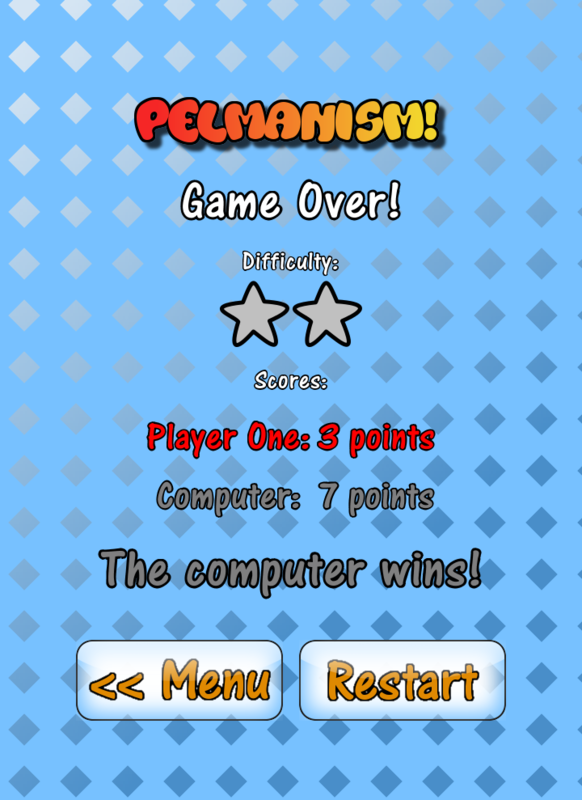 Pelmanism is a memory game in which you flip pairs of cards and try to get a match. 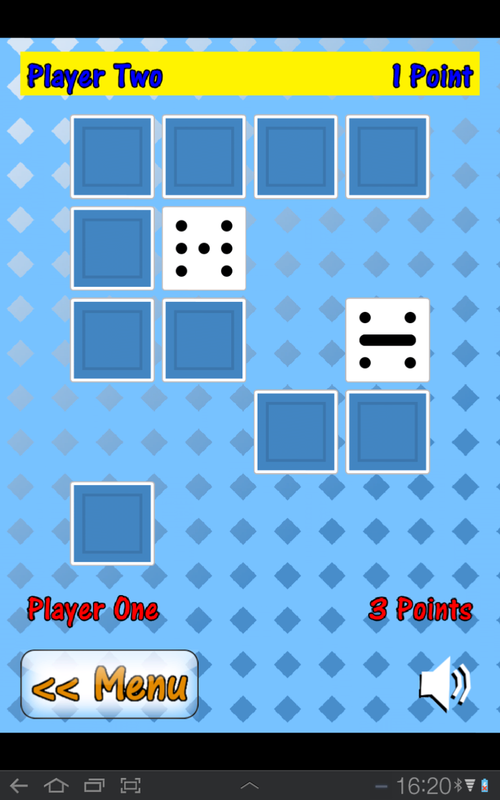 Cards start off face-down and each player flips two cards in turn. 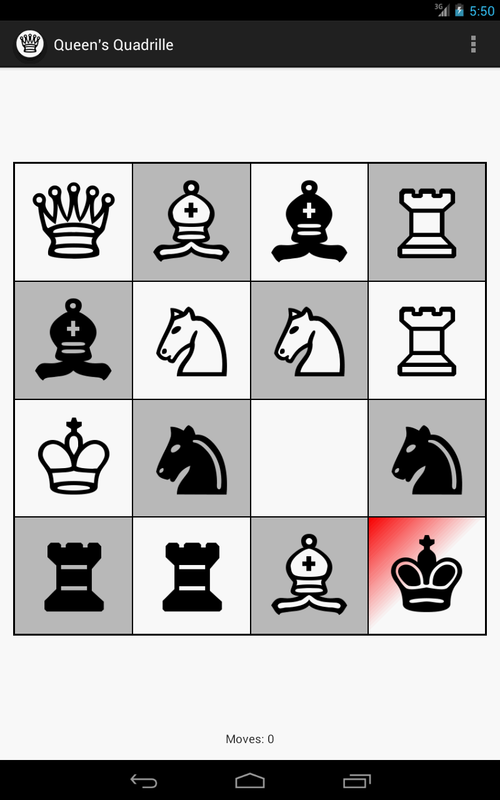 If you get a match you get to go again, otherwise the other player gets a go. 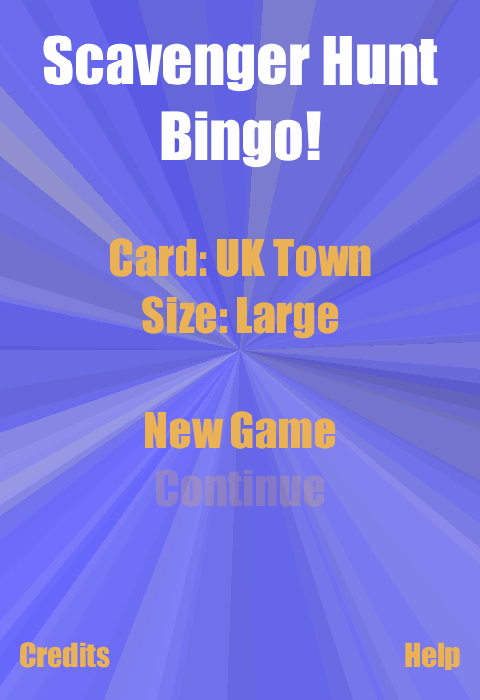 The trick is to remember where you've seen each card, so when the matching card turns up, you can get a pair! 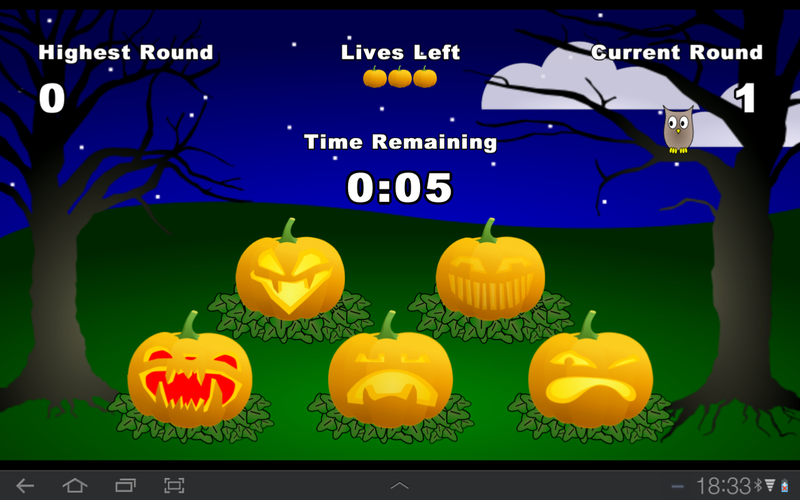 It's Hallowe'en night and the pumpkins are haunted! 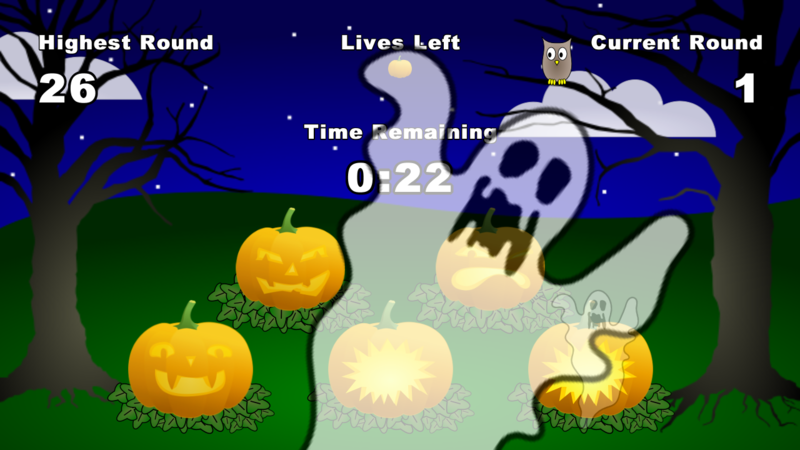 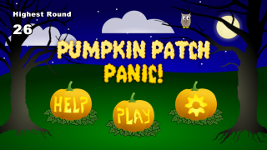 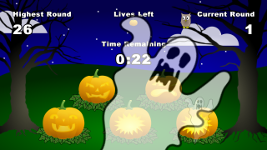 Hold back the ghosts in this frantic pumpkin-thumping game. 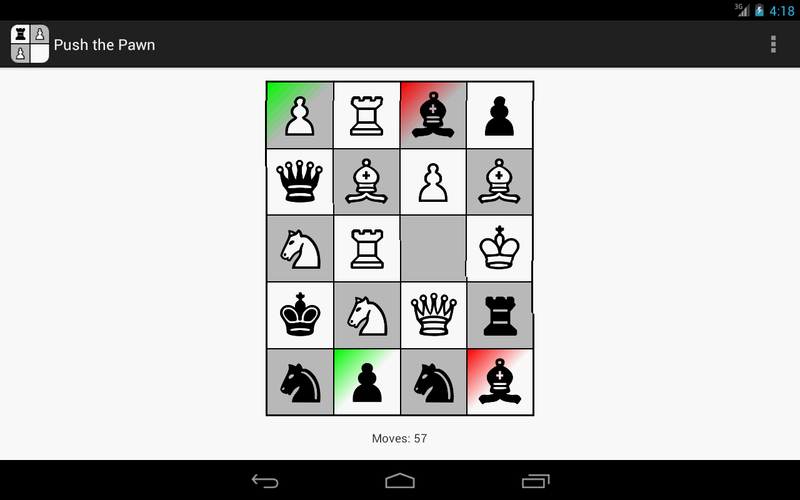 Available in all regions, for devices running Android 2.3 and above. 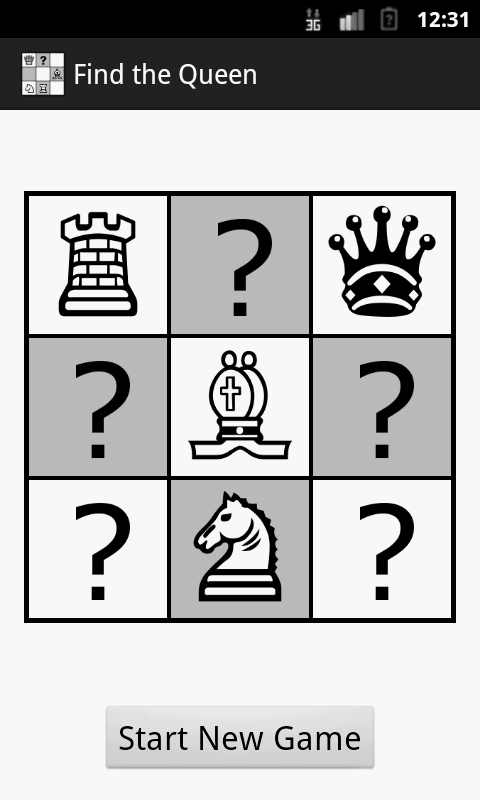 All content copyright May Contain Software, 2014.